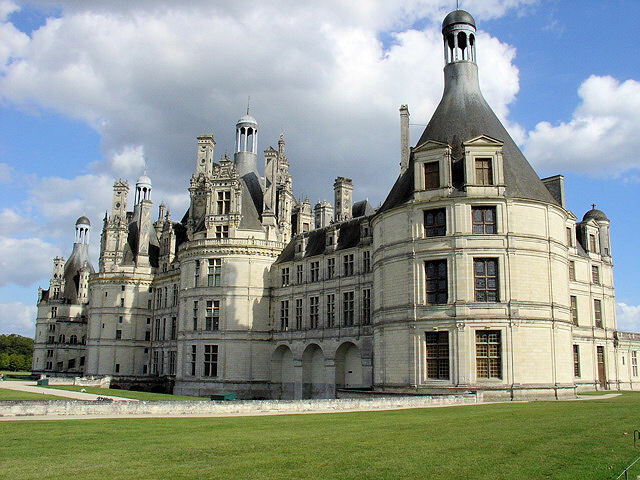 The Magnificent Loire Valley Chateaux Enchant All Who Visit on This Full-day Tour from Paris! The Magnificent Chateau de Chambord. Ready to embark with me on an unforgettable journey to the enchanted chateaux of the Loire Valley in France? Located in eastern-central France along the banks of the River Loire, this "Garden of France" comprises an area of roughly 300 square miles and is renowned for its magnificent fairy tale castles, French-provincial villages, impeccable gardens, abundance of vineyards, and of course, some of the most scenic landscapes in all of France. After I spent day touring this alluring French countryside dotted with more than 1,000 of these majestic fortresses, wanderlust surged and now I am determined to visit every one of them in my lifetime! To stand in the shadows of these imposing chateaux is quite humbling and awe-inspiring – imagine castles dating back to Classical, Renaissance and even medieval times having survived hundreds of years preserving intact their magnificent architecture. But it’s not only the castles, for surrounding them are the most exquisitely manicured gardens and scenic vistas adding even more elegance to the splendor of the Loire canvas. If you’re planning a holiday to France, make sure you spend a day or two or perhaps three roaming through the glorious Loire Valley! More than 1,000 magnificent chateaux can be found throughout the Loire Valley in France. 310 square miles of magnificent fairy tale castles, quaint provincial villages, impeccable gardens, vineyards and scenic vistas await all visitors who venture to the Loire Valley. My tour departed Paris in wee hours of the morning, promptly at 7:00 a.m. to be exact, and while that may seem like a long day, I reveled in every moment! Plus the full day tours usually include lunch in a quaint village pub along the way. The tour I chose was via Paris Vision Tours and included stops at Chateaus Chambord, Chenonceau and Cheverny including lunch in the village pub. When you go, plan to rise before the roosters because the tour departs promptly at 7 a.m. along the Rue de Rivoli and maintains a tight schedule throughout the day ensuring the most time possible to tour and photograph the palaces. Don’t worry, there’s plenty of time to sleep on the way because the tour tackles the longest leg of the journey in the morning, approximately three hours to Chenonceau, with one stop for coffee, breakfast and bathroom breaks. From there, you drive north to Cheverny and finally to Chambord. 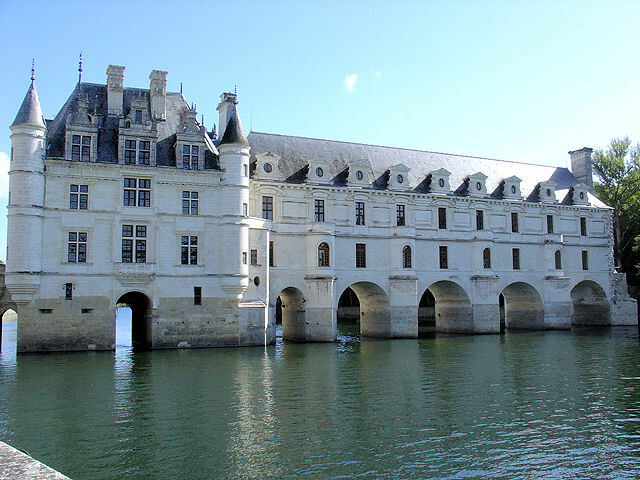 Depending on traffic in Paris, you should get back between 7 and 8 p.m.
Chateau de Chenonceau spans the River Cher. After sleeping most of the way to Chenonceau save the one stop I mentioned above, we arrived at Chateau de Chenonceau. After departing the bus, I was greeted by a walk down a verdant and wooded lane whose overhead canopy concealed the sprawling grounds of the chateau ahead. Once we reached the end, there stood Chenonceau – a magnificent fortress spanning the River Cher that has survived a tumultuous history not to mention owing much of its architectural elegance to the design talents of the “ladies of the house.” Katherine Briconnet designed most of the structure in 1513 with further embellishments added by Diane de Poitiers. However, it was Catherine de Medici who not only influenced its interior design but the magnificent garden that bears her name. This guided tour led us through the castle, the gardens and the immaculately manicured grounds all the while providing the historical perspective on everything we saw. Not to worry, there’s plenty of time for pictures and roaming around at your leisure. Catherine de Medici Gardens at Chateau de Chenonceau. The Bridge's Lower Level Interior. 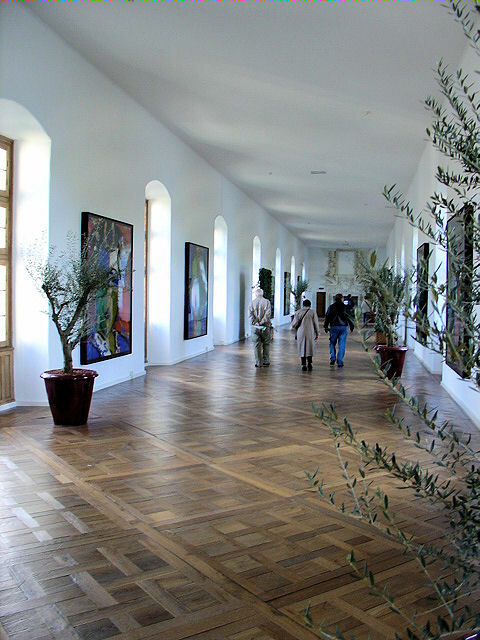 The Bridge spanning the River Cher houses an art gallery on its upper level. 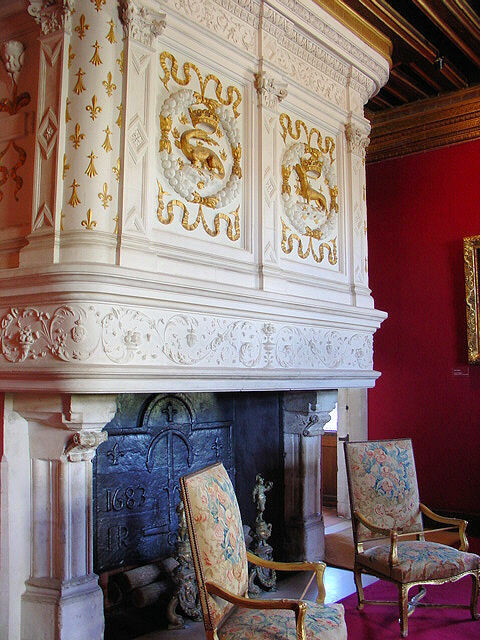 Interior Fireplace in Louis XIV's Drawing Room. 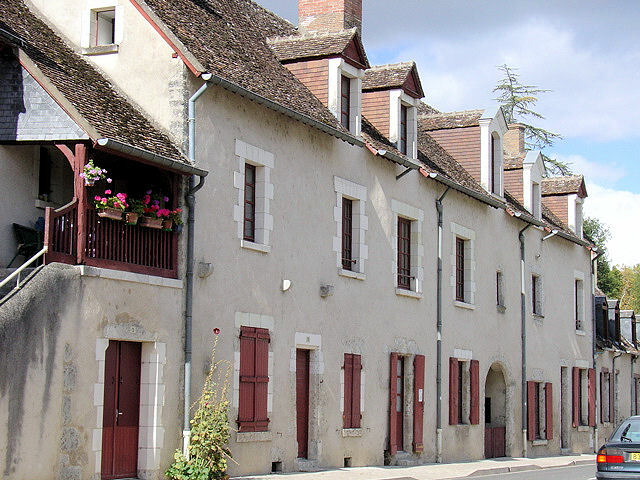 Next stop, the quaint village of Cheverny, home to the second chateau on our tour and where we indulged in delicious French cuisine at a local pub in the village. Quaint historic building line the streets in the village of Cheverny. After lunch, it was on to Chateau de Cheverny, the second of the Loire Valley castles on this tour. 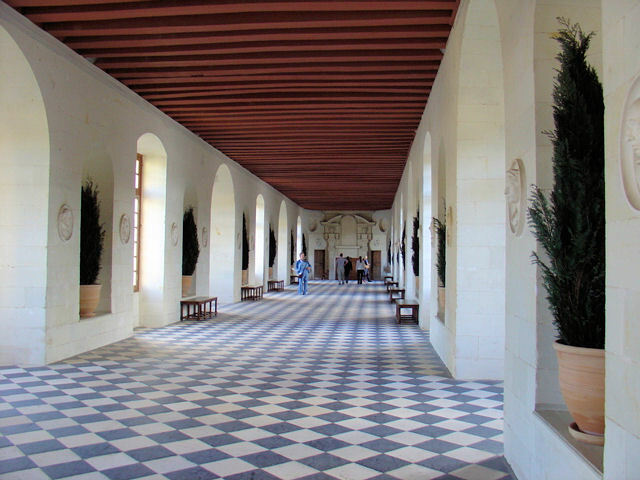 Renowned as the most elaborately appointed interiors of any of the Chateaux along the Loire, Chateau de Cheverny is still occupied today by descendants of its original owners - the Hurault Family – who rebuilt most of the chateau during the 17th century. 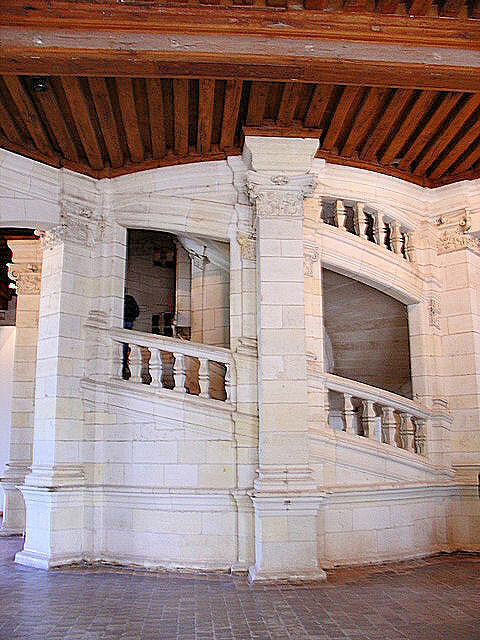 Although their residence, a separate wing of the castle, is not accessible on the tour, what remains are the most magnificently appointed interiors with original artwork, tapestries, and gilded embellishments adorning every ceiling, wall and floor, not to mention the elegant antique furniture throughout. The grandeur of these opulent interiors will take your breath away! Chateau de Cheverny still occupied by descendants of the original owners. The Great Drawing Room, just of the ornately-appointed interiors of the Chateau de Chevery. Impeccably kept grounds surround the historic buildings of Cheverny. Outside Chateau de Cheverny, you will find spectacular gardens in a park-like setting with stunning landscapes and historic buildings. Dog lovers will revel in a visit to the kennels which are home to more than 100 hounds of Cheverny who continue in their hunting quest to this day. Here's a fun and short video of feeding time at the kennels which visitors are permitted to observe. You can feel the tension building as these well-behaved dogs inch slowly closer to the feeding line composed of meat and kibble. 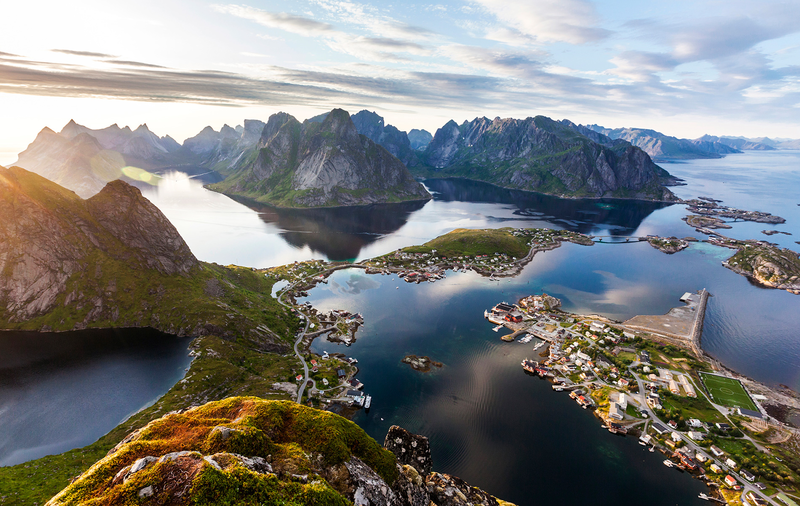 It's a spectacular sight to behold. Our final stop along the tour is Chateau de Chambord – the largest and most recognizable of the Loire Valley Chateaux. A colossal fortress that owes its astonishing design to many architects including Leonardo da Vinci [according to legend], the Chateau de Chambord is a masterful blend of French Renaissance and Italian Classical architecture whose turreted rooftop resembles a small French provincial village. 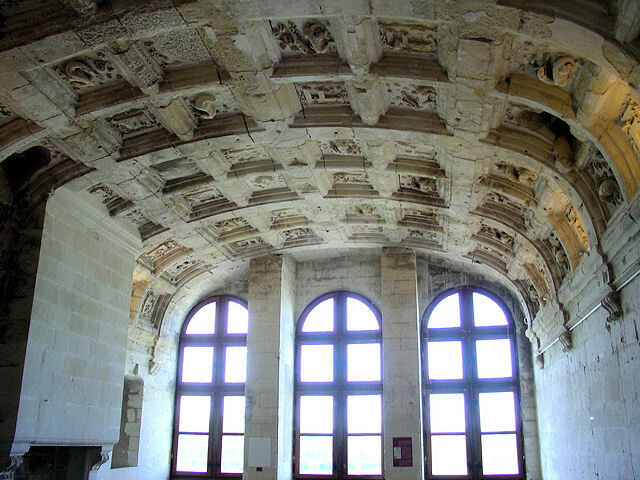 It was originally designed to be a hunting lodge for King Francois I when construction began in 1519. The imposing fortress that is Chateau de Chambord is the largest of the Loire Valley Chateaux! 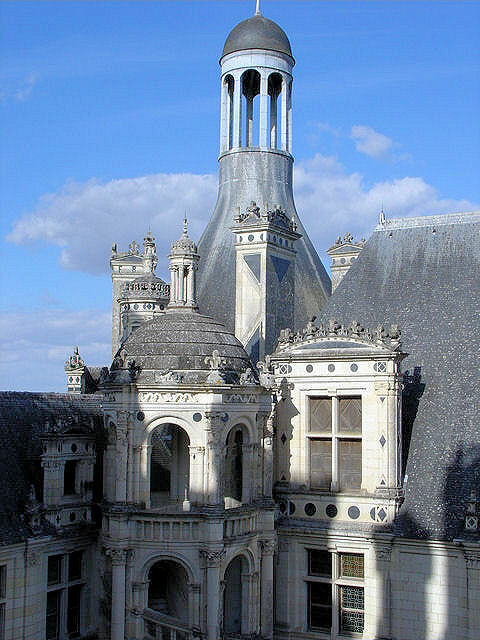 Chambord's turreted rooftop resembles a small French provincial village. Coffered ceiling detail inside this imposing fortress. 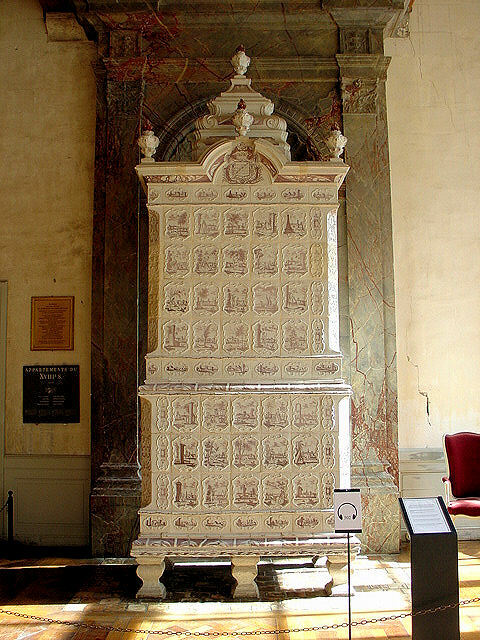 The Danzig earthenware stove, bearing the arms of the Marshal of Saxony, was used to heat the chilly first-floor apartments. Originally four of them could be found throughout the Chateau but only three remain today. 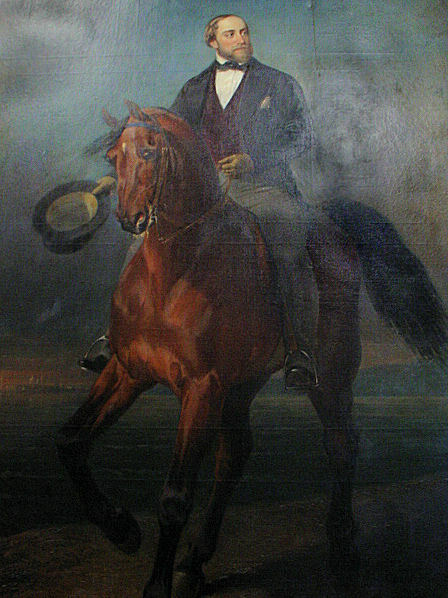 Portrait of the Duc, de Bordeauz, Count of Chambord. Although construction officially ended in 1547, the Chateau de Chambord remains mostly unfinished today which becomes quite apparent as you enter the imposing edifice. Of the 440 rooms, the bedchambers, a hunting trophy room and a few others are nicely decorated however most of the remaining rooms and walls are quite barren. 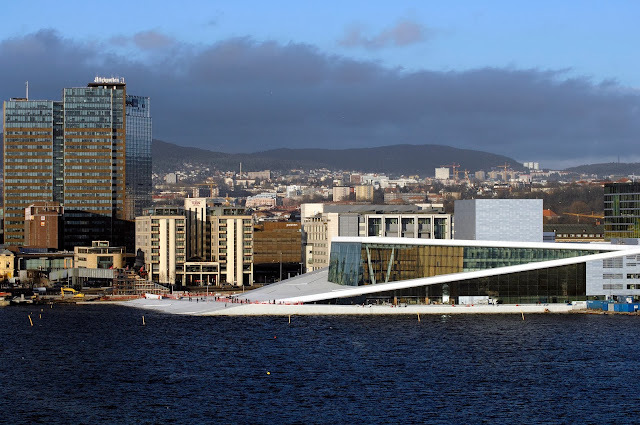 There is one striking interior feature though – the double-helix stone stairway – two separate staircases that wind around each other allowing for occupants to ascend while others descend without ever passing each other along the way. Double Helix Stairway allows occupants to ascend and descend without ever passing each other along the way. Upon exiting the castle, you’ll find gift shops and small eateries just to the left. Further along is the parking lot where you’ll pick up the buses for your return trip to Paris. Since Chambord is only 112 miles south of Paris, it’s a shorter ride back barring any traffic. A small gift shop and café await visitors just to the left upon exit of the Chateau. This concludes our Paris day-tour to the Chateaux of the Loire Valley. I hope you enjoyed your journey to some of the most spectacular castles in the world! If you want to find out more about this or other tours, visit Paris Vision Tours or ParisTrip.com for a variety of Loire Valley tour options. With many half- and full-day tours departing Paris daily, the full-day tours average 12 hours in length and the choices are practically endless. If I may make a suggestion, when you're shopping around, I urge you to book a full-day tour to make the most of your trip through this magnificent region of France. You won't regret it! Another great Paris-day tour is to the Chateau Chantilly. Here's a wonderful review by Andrea of RearViewMirror.com. 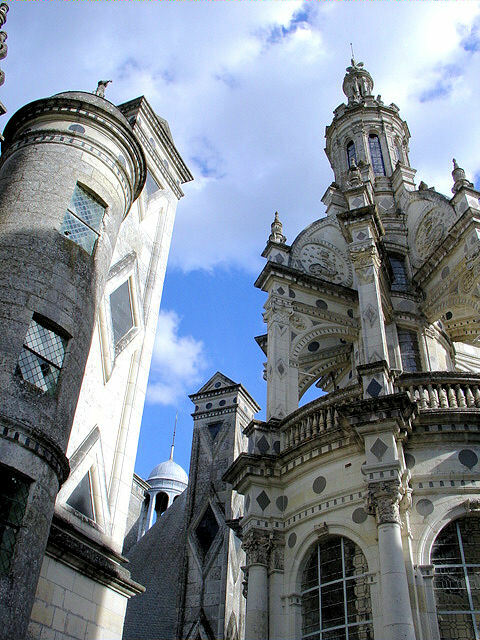 Finally, be sure to check back here for upcoming features on each of these spectacular Loire Valley castles. Au Revoir! Beautiful photos Jeff. That certainly is a full, fun day isn't it? Thank you so much for visiting and commenting my friend!! And, thank you for your compliments...I loved photographing EVERYTHING...you should see how many I have and couldn't fit in. Chambord et Chenonceaux, c'est magnifique. Thank you so much for stopping by to read about these magnificent chateaux and to share your thoughts! Shooting Star, thank you for your kind words my friend. They go a long way with me and stop by often for more virtual tours. Claire, I agree with with you...c'est magnifique! Gorgeous architecture, Jeff! Thanks for sharing the pics. Makes me want to return to France. I agree, the architecture is breathtaking especially when you see these chateaux up close and personal. Their size is immense...it's almost unbelievable!! Thx so much for sharing your thoughts! Oh gosh, I don't know really where to begin except I want to back to France right now! I have not been the Loire Valley but I always knew I'd make it someday but after this that will be moved forward somehow. Beautiful castles to say the least. I have used both Paris Vision and ParisTrip and both are excellent tour companies. As you live vicariously through this post, I live vicariously through your enthusiasm and excitement! The Loire is truly magnificent and everyone who visits France should spend at least a day touring this enchanting valley. I loved Paris Vision...really did..they had well-informed and extremely knowledgeable guides throughout our adventure. I surely hope you get to see it soon. Thank you again for stopping by and sharing your excitement!! Leslie, I agree, you should go!! 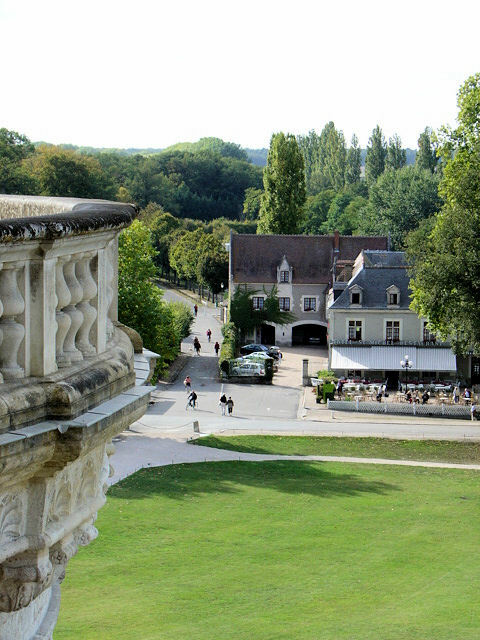 So much to see and experience not to mention the glorious scenic landscapes of the Loire. I fell in love with this region on my visit and long to return. Thank you for stopping by and sharing your thoughts! !